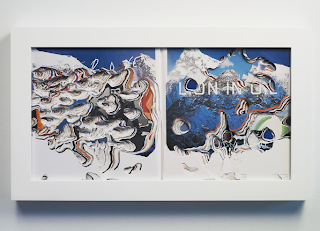 Japanese paper artist Noriko Ambe will be showing her fantastic terramorphic topographic sculptures at Scai The Bathhouse Gallery in Tokyo beginning this Friday. 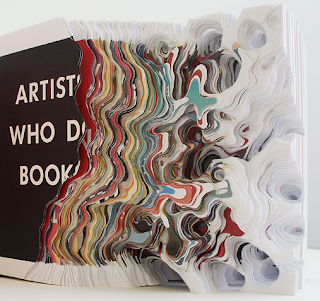 Ambe goes about her work by making precise cut-outs in books, magazines and other forms of paper. 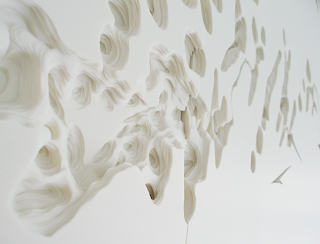 In these selected works she uses a synthetic paper called YUPO, made of 100% recyclable materials.